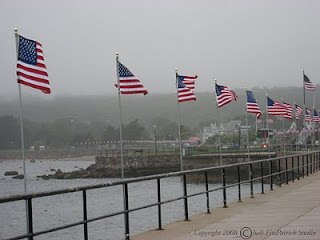 Ramblings By Judi: Happy Flag Day! 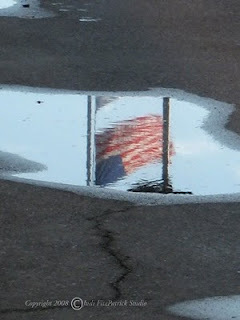 I love the flag reflection! Nice shot. Were you looking for something like that to photograph or was it just serendipitous? Hey Jim, It was just serendipitous. I was out for a walk after a rainstorm and noticed the reflection in a puddle in the street. Just had to scoot down to line it up. Thanks so much!